*updated on 31st october 2017*. 1. 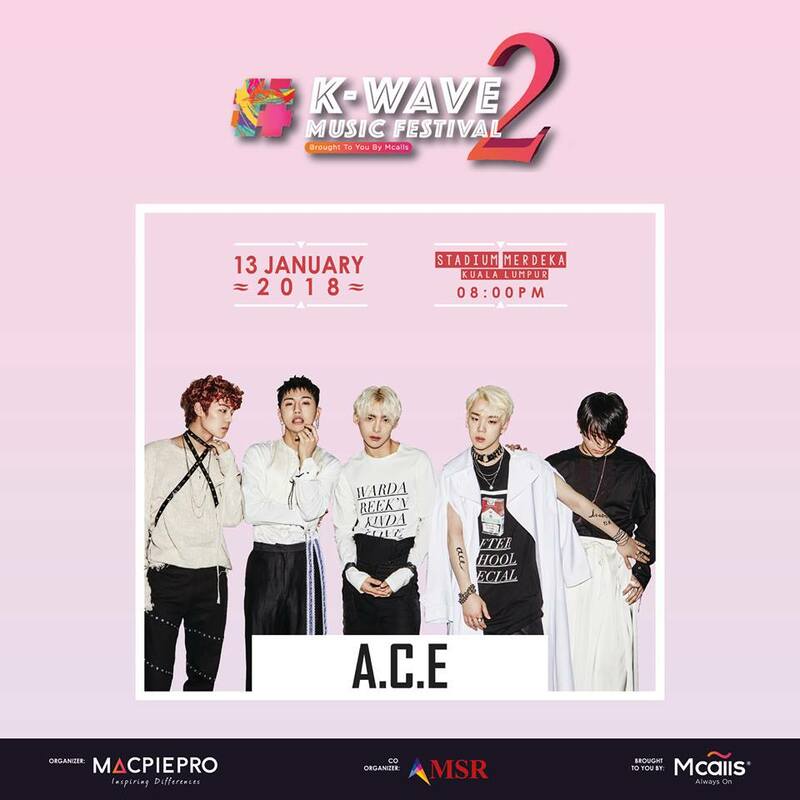 K-Wave 2 Music Festival is a mega K-pop music festival featuring a massive lineup of SEVEN acts and attractive deals that will make look forward to the new year! 2. 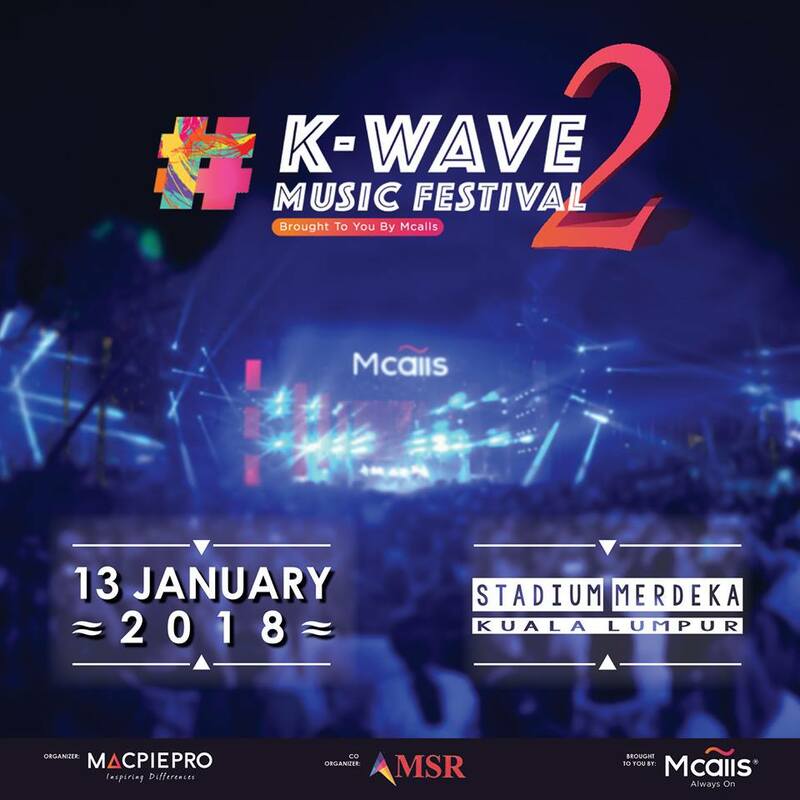 Organised by MacpiePro, the highly anticipated K-Wave 2 Music Festival brought to you by Mcalls is set to make a comeback on 13 January 2018 (Saturday, 8pm) at Stadium Merdeka, Kuala Lumpur. 3. Door opens from 3.30pm onwards. The event is split into 2 sessions with the first session from 3.30pn to 7.00pm for game activities. 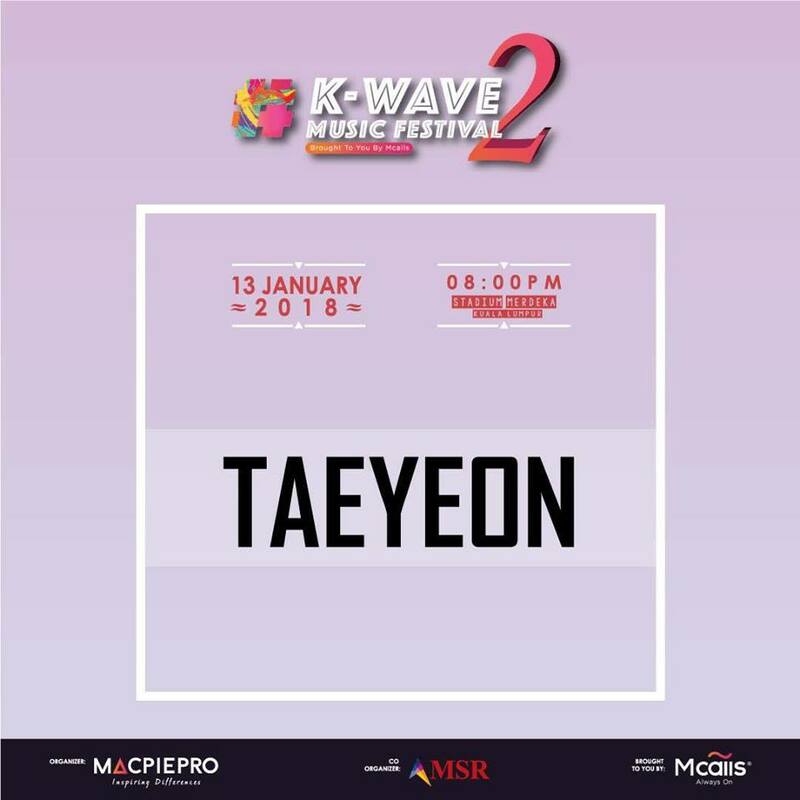 The concert then starts from 8.00pm onwards. 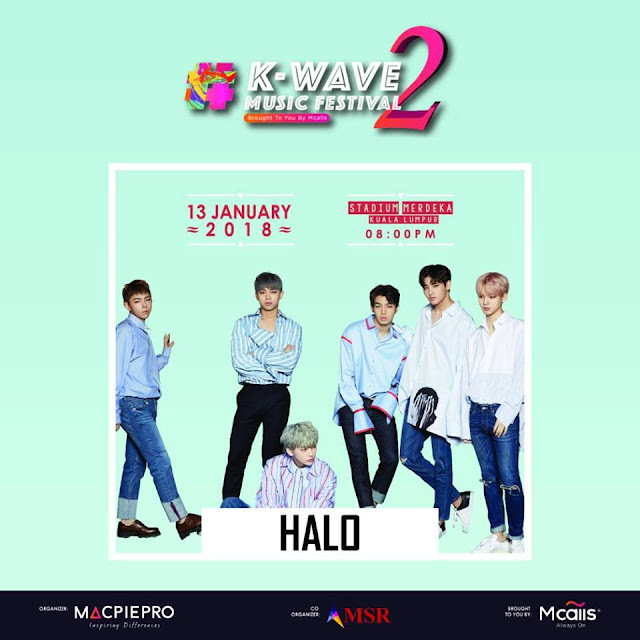 Yes, the festival will integrate fun and myriad interactive activities and games for festival-goers to participate with their purchased entry pacjages to enter the venue before the shows kick off. 4. The ticket package prices start at as low as RM34 to RM498, and it comes with a Mcalls Y33 Sim Package. What a deal! 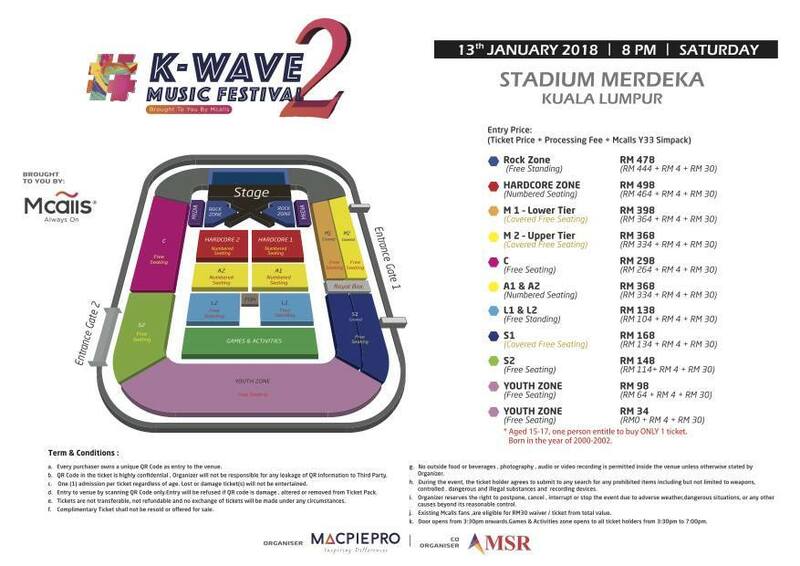 *Malaysian aged 15-17 (Born in the year of 2000 to 2002) is entitled to ONE Youth Zone Alpha Package at RM34, consists of a Youth Zone tickets and Mcalls Y33 SIM Pack with processing fee. 5. Sale will start on 3rd November 2017. More details to be released soon. 6. There will be SEVEN performing acts in total. 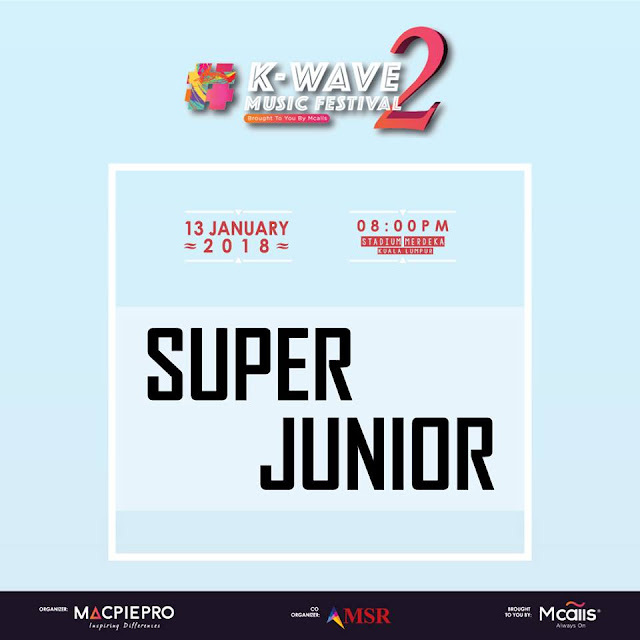 Current confirm artists: SUPER JUNIOR, NUEST W, TAEYEON, MAMAMOO, A.C.E , TAHITI and HALO! 7. The other four line up will be announced *THIS* week (all has been announced as per 31st October 2017). ONE OF THEM IS A LEGEND; ANOTHER ONE IS A FEMALE SOLO ARTIST. 8. Hint: There are more boy groups than girl groups... hehehehe. Q: If I'm aged 15-17, can i purchase other zones other than Youth Zone? Q: Is there queue number for Rock Zone? A: No, there is no queue number for rock zone tickets. Game and activities session starts 3.30pm to 7.00pm, fans can enter by 3.30pm. Q: Do I still need to purchase another sim card package if I am already existing Mcalls user? Q: Is there online ticketing? A: Yes, there will be. 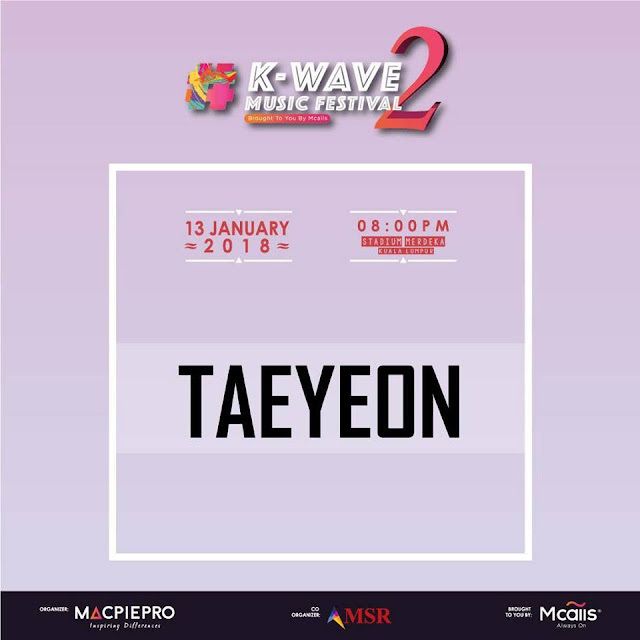 Ticketing details will be released soon. Q: Is there any walk in purchase? 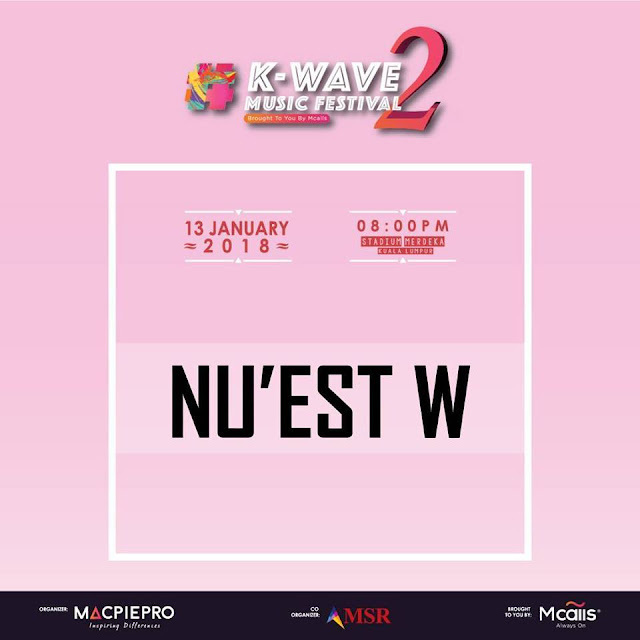 A: As of now, all purchase can only be done online, unless the organizer decided to make a different arrangement. 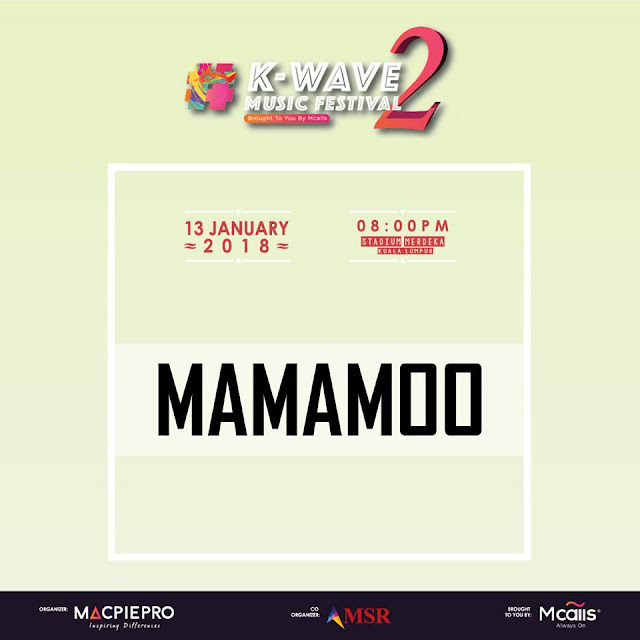 Q: Where and when can I purchase the tickets? A: Online ticket sale will start on 3rd of November, 9AM @ mcalls.asia .